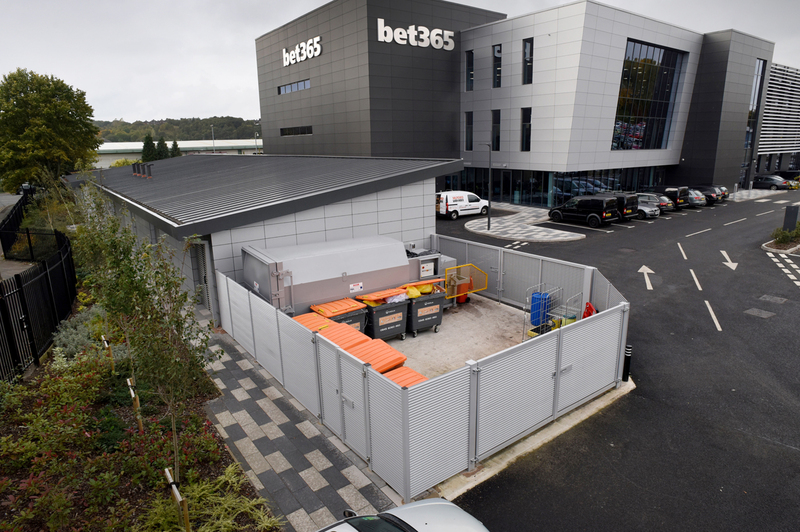 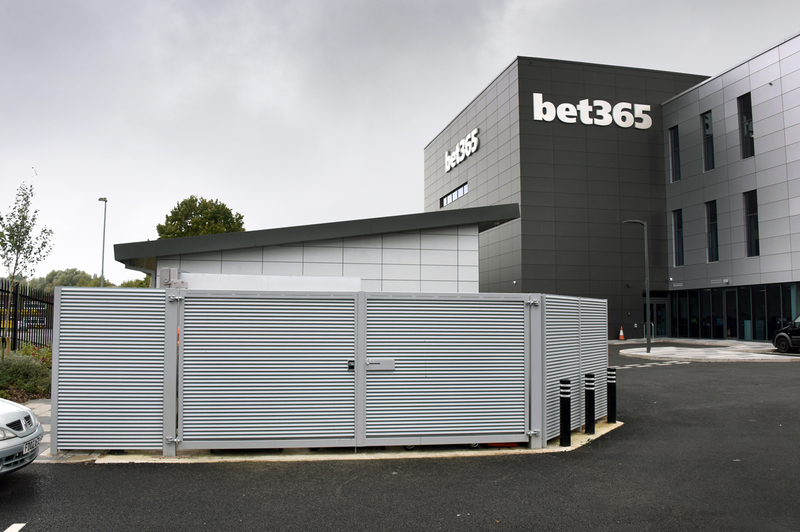 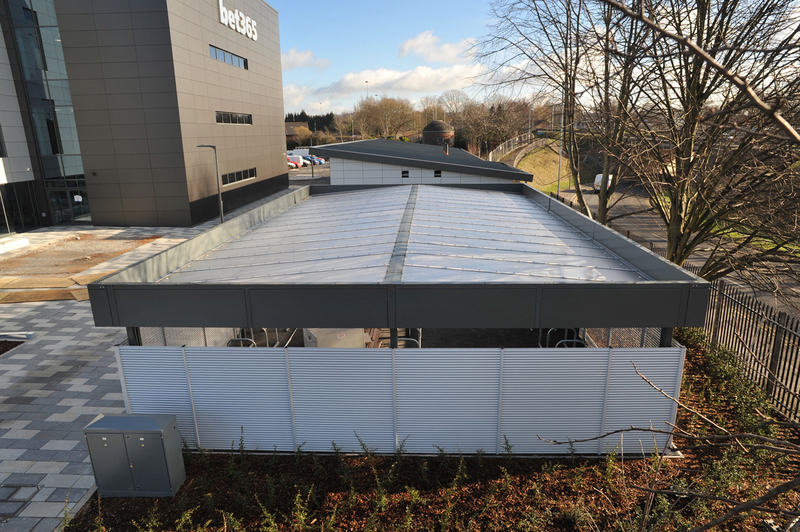 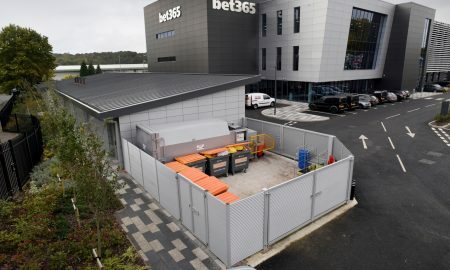 Broxap Ltd. won the tender to provide external furniture, cycle parking, smoking shelters and outdoor bin storage at the newly developed BET365 Corporate Offices in Stoke-on-Trent (the headquarters of the global betting/gaming company). 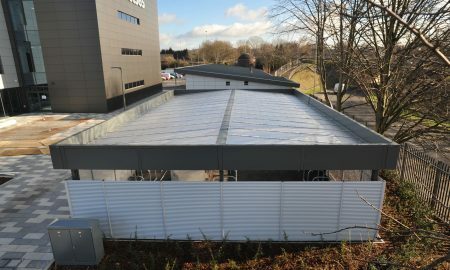 The main building was designed by Architects Wood Goldstraw Yorath along with the owners of the company whom had a specific vision in the look, feel and corporate colour scheme of what they wanted to achieve. 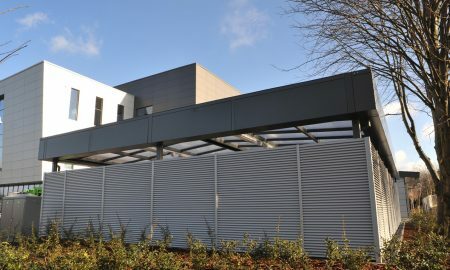 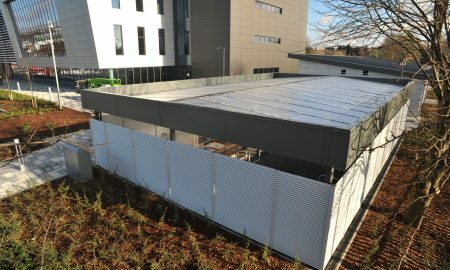 The main building had a ‘louvred’ effect cladding and this was to be emulated in the surrounding buildings including the cycle shelter and bin store. 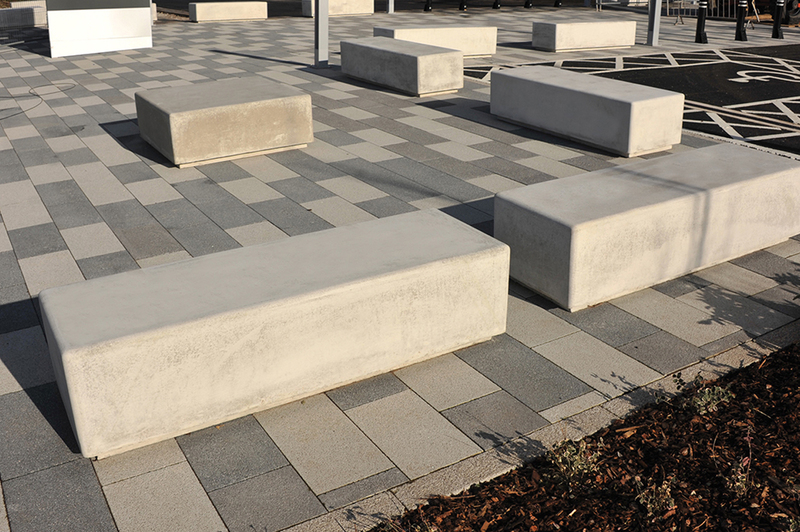 External furniture was to be very contemporary in design yet strong, durable and long lasting with minimal maintenance required. 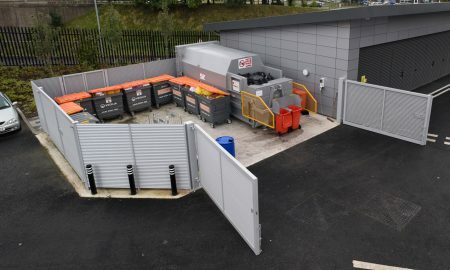 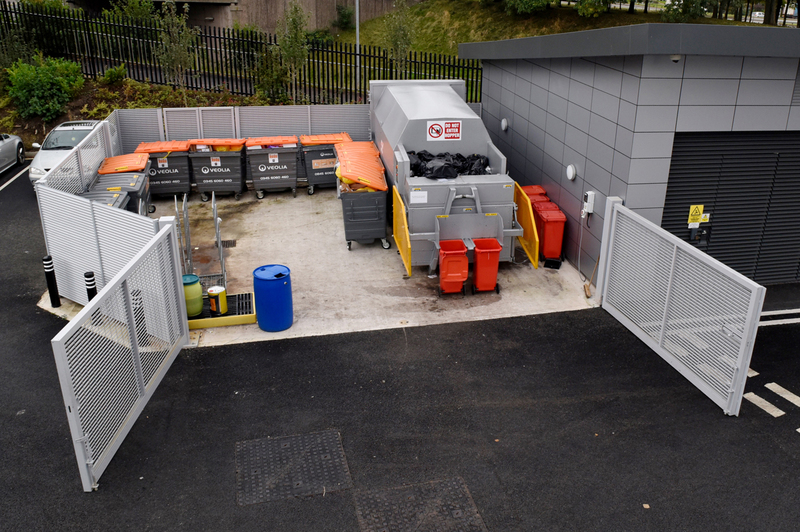 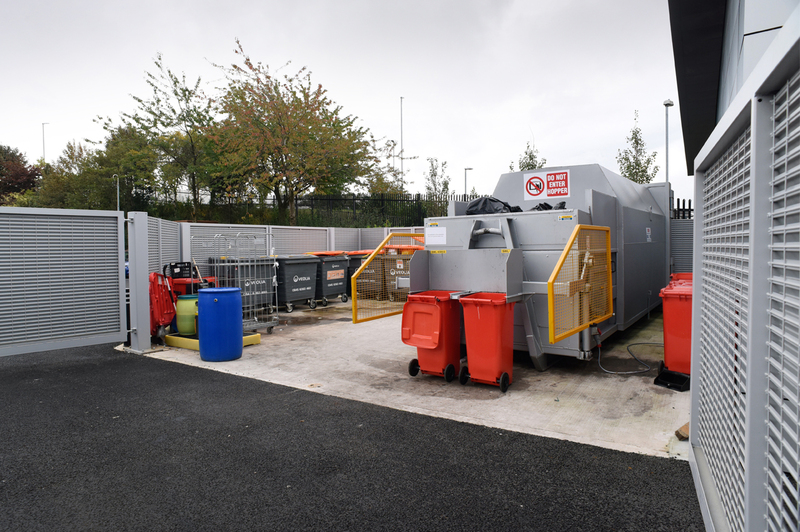 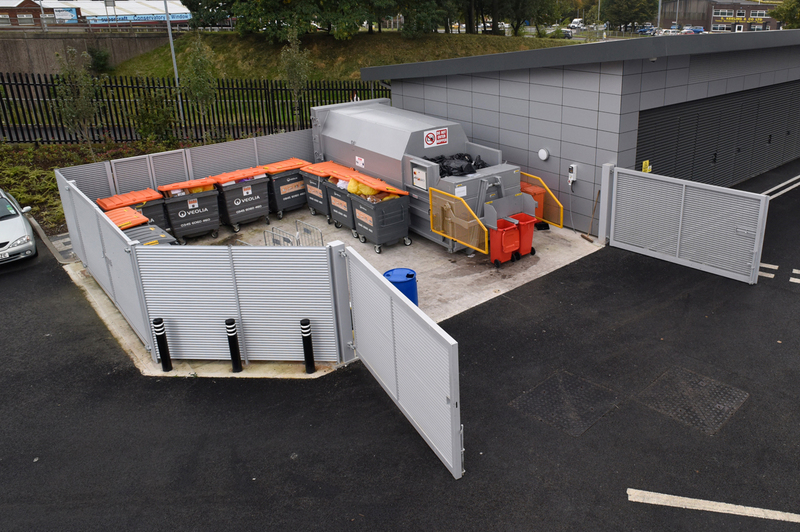 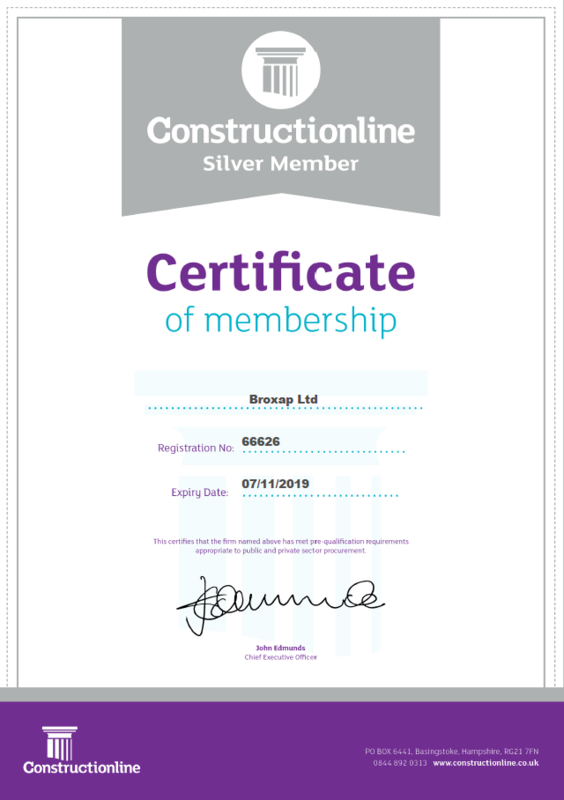 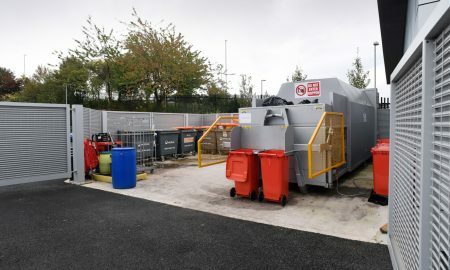 Contractors John Sisk & Son Limited won the right to undertake the construction and working with all parties Broxap provided a series of 3d visuals designed to illustrate the look and feel of the cycle shelter and bin store. 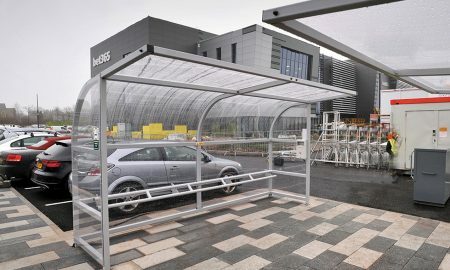 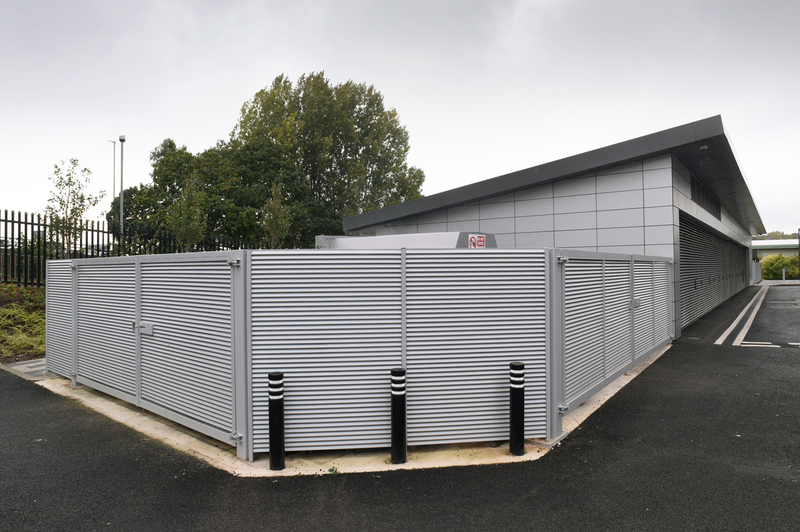 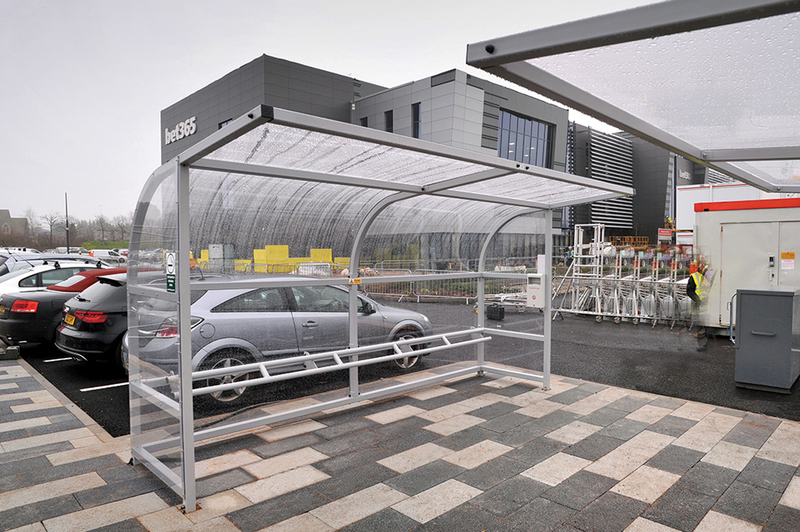 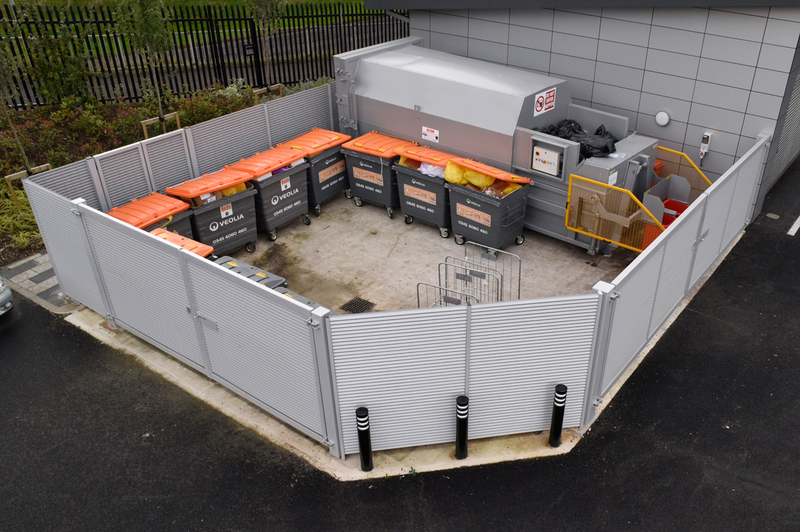 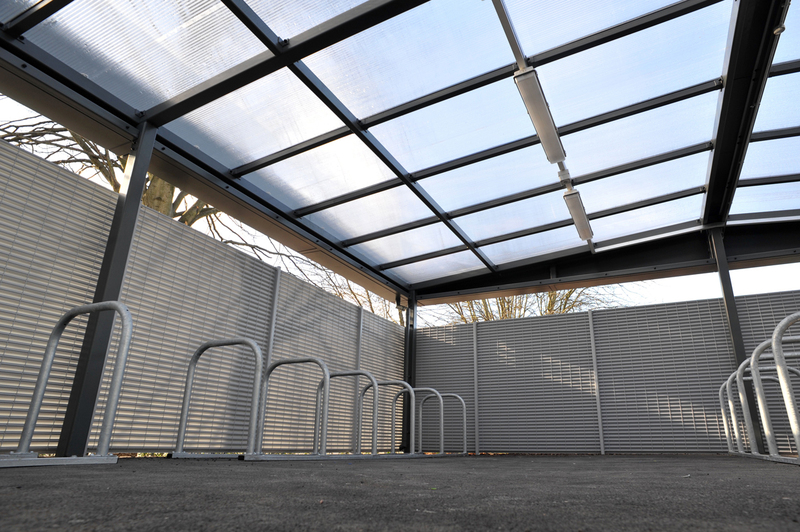 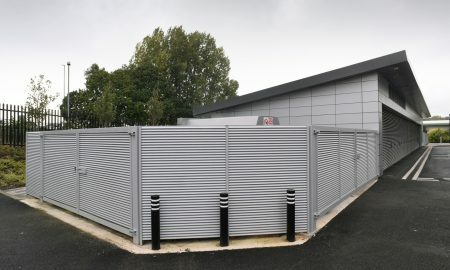 Once a design was chosen Broxap manufactured this in-house at their Chesterton based factory before their sub contract installation team worked on-site with John Sisk & Sons to install the cycle shelter and bin store. 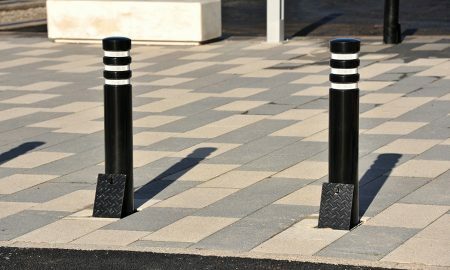 External furniture such as seating and bollards were delivered to site direct from Broxap to be installed by John Sisk & Son on-site workforce. 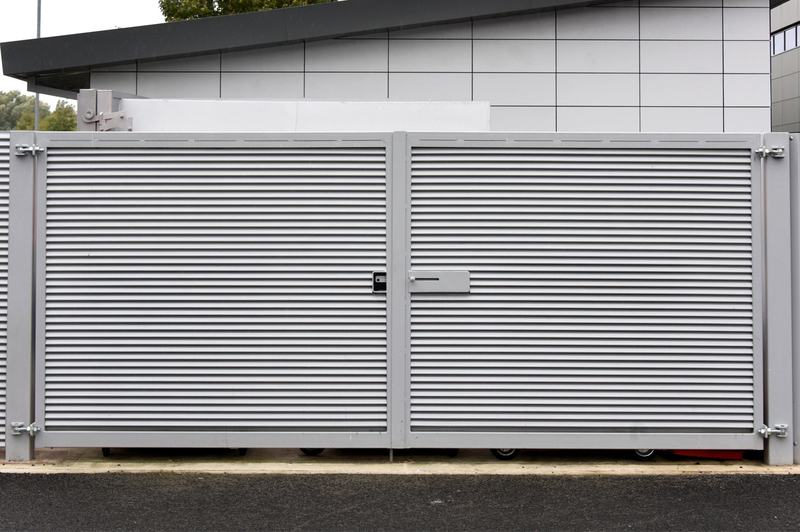 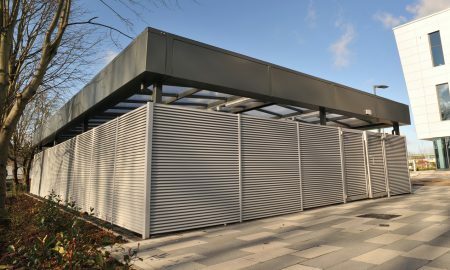 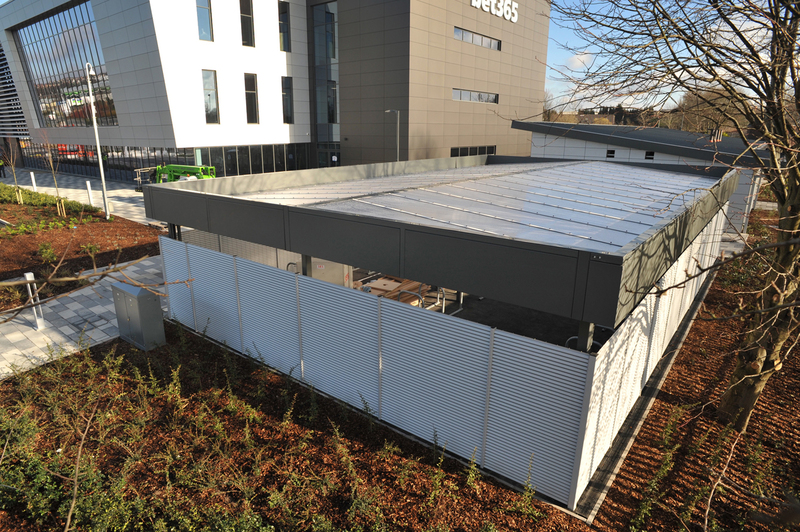 To emulate the ‘louvred’ effect on the main building, Broxap utilised a specific panelling from Lang and Fulton that would emulate the louvre whilst providing ventilation and visibility throughout both cycle shelter and bin store. 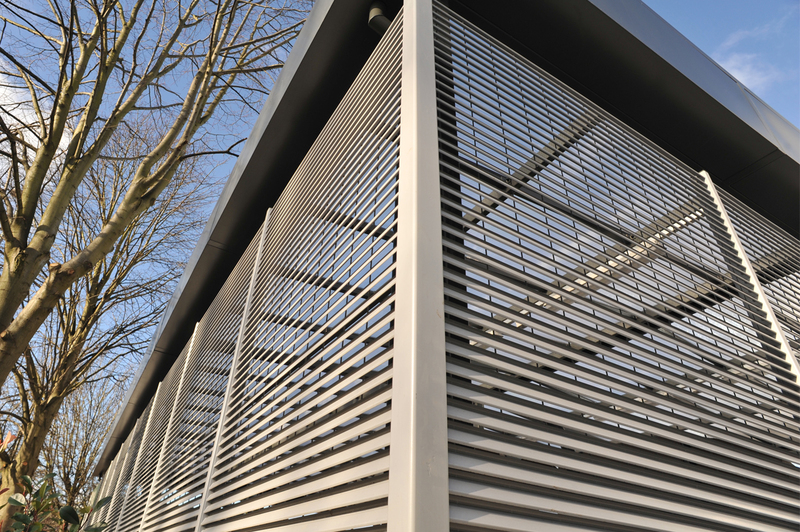 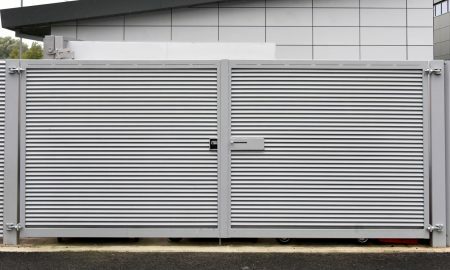 Italia-100 is an electrofused mild steel louvred grille providing ventilation and total visual screening. 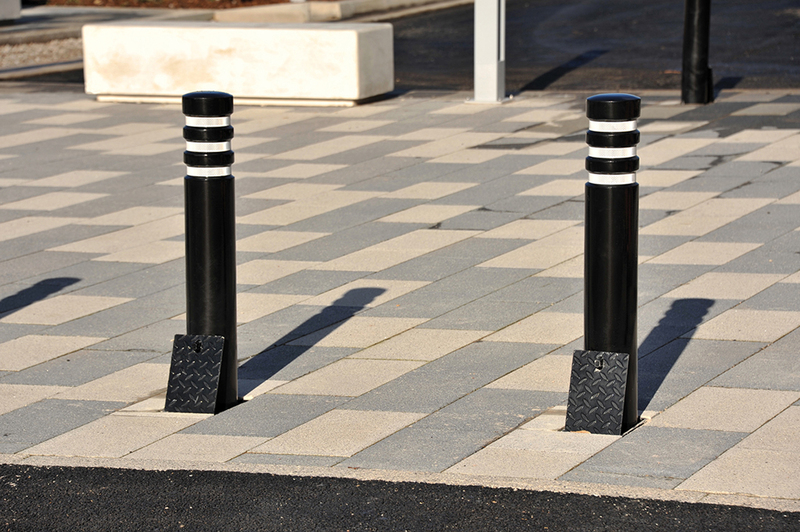 It is manufactured from a 3-times flanged 69×1.5mm flat and 4mm round bar. 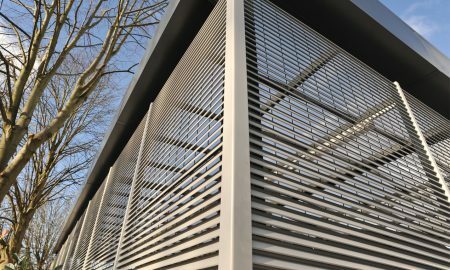 The finished effect provided a tough, resilient screening that had the look and feel of the architects vision and design. 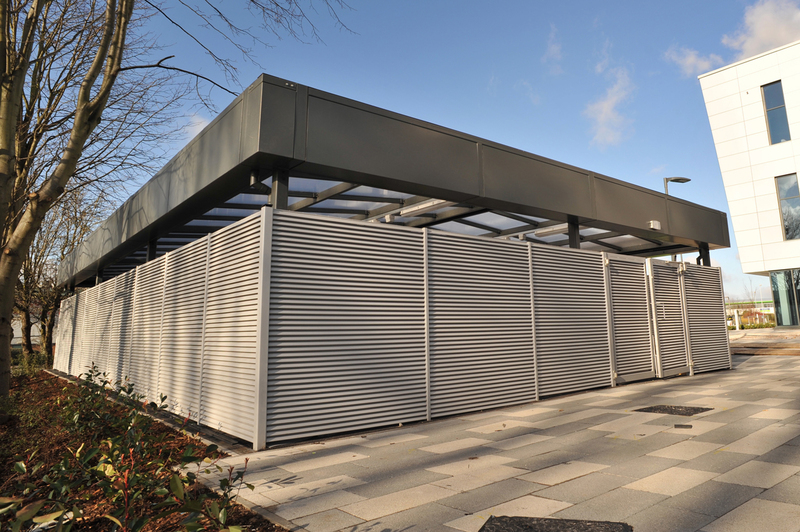 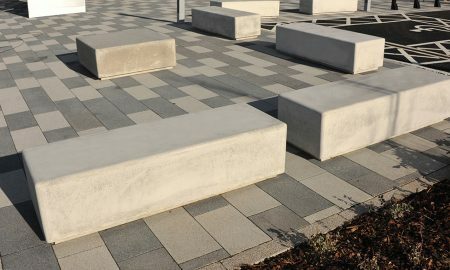 Other external furniture elements included: Fallowfield contemporary concrete seating, Aspen polyurethane bollards and Harrowby Smoking shelters.